Luka Doncic easily is the most decorated rookie in NBA history. Just this past season alone, he won the EuroLeague title and the Spanish League title with Real Madrid, as well as the EuroBaskets with his native country of Slovenia. He also became the youngest EuroLeague MVP, EuroLeague Final Four MVP in history and the youngest player to ever be named ACB Most Valuable Player (Spanish League MVP). We guys, over in Europe, already knew he will be special before he was drafted, and it only took a handful of games to convince the rest of the world that he is legit. His attributes include athleticism, basketball intelligence and the ability to play against older players. He has a competitive drive, as well as unique versatility with the ability to dribble with both hands, rebound, shoot with range as well as passing and scoring in a variety of ways. 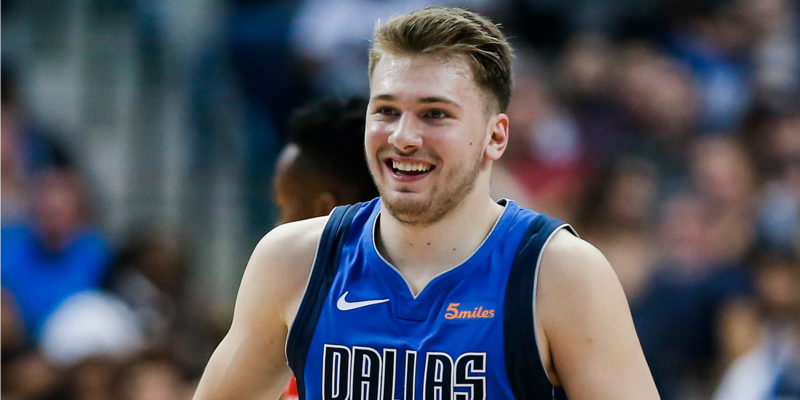 By now, everybody knows how much of a draft steal Luka is for the Mavericks. The Sacramento Kings were one of the teams who could have drafted Doncic themselves, but they chose to go in a different direction and selected Marvin Bagley with their 2nd overall pick. The two lottery picks were supposed to play each other for the first time last night, but Bagley is currently on the sidelines rehabbing a knee injury. The Kings won nontheless, but their head coach Dave Joerger was so impressed with Doncic, that he threw some shade at his own front office for missing out on him.